Please Stop Helping Mitch McConnell Lie About the DeficitThe Senate Majority Leader says that simple math requires the U.S. to cut Social Security and Medicare. Too many “objective” reporters agree. Remember Trump’s Promise Not to Touch Social Security? 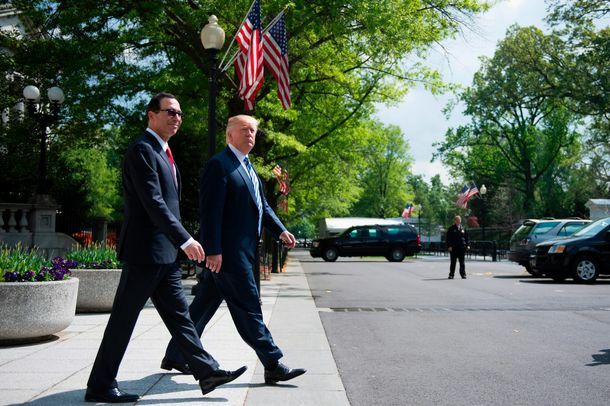 It’s Gone NowSteve Mnuchin quietly backs away from a famous Trump position. Has Trump Really Taken Social Security and Medicare Reform Off the Table?There are serious tensions within the GOP on the matter. But the president-elect has given a new signal. Are Republicans Crazy Enough to Go After Social Security?A bill is introduced in the House to cut Social Security and destroy the GOP. 2016 Is Turning Into a Historically Great Year for Social SecurityWith Democrats now moving toward expansion, and the GOP nominee reversing the Party’s long-held plans to cut it. 87-Year-Old Brooklyn Woman Declared Dead, Much to Her SurpriseWhat happens when you accidentally get on the Death Master File. Social Security Funds to Vanish Even Sooner Than ExpectedThree years sooner. Rick Perry Is Going to Get Piñata-ed Tonight Like It’s a Mexican Birthday PartyIn the fifth GOP presidential debate, Rick Perry’s Social Security remarks will take center stage. Does Rick Perry Think Medicare and Social Security Are Unconstitutional?His comments on Medicare and Social Security could come back to haunt him. Old People to Cut Back on Werther’s Originals This YearFor the past three and a half decades, the payments have been automatically adjusted according to the prevailing inflation rate. Tea Party on Social Security: ‘We Are All Collateral For The Banks’Congressman Bob Inglis shares his observations. Tyler Cowen and Ezra Klein on Palin’s Speech and What Obama and McCain Would Each Accomplish — or Not — As PresidentFor today’s conversation, we bring together Tyler Cowen, a professor of economics at George Mason University who blogs at MarginalRevolution.com, and The American Prospect’s Ezra Klein.